We keep receipts because they’re important. They are a record of our expenditure and expenses – helping us to better manage our finances. This is true of businesses and individuals. Businesses can save tons of money on essential expenses such as travel, office equipment – even marketing and operations expenses like marketing subscriptions. However, without a receipt as proof of purchase, you may be out of luck. Despite their usefulness, paper receipts are a frightfully poor way of recording a transaction. Let’s not forget they can be easily lost, and the ink on the thermal paper will fade, for sure, when exposed to direct sunlight or just over time. 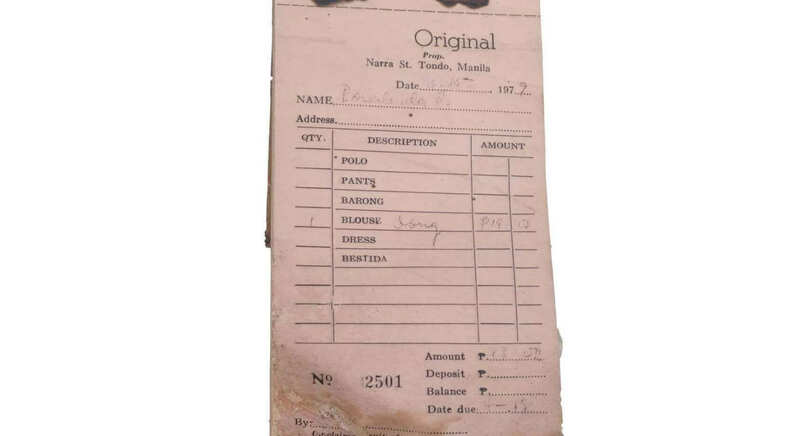 Receipts are printed on thermal paper. This type of paper is chemically coated to produce characters and images when heat is applied to the surface. The paper itself is susceptible to UV light and heat and when exposed for a prolonged time, characters and images will fade. This makes it difficult for receipt characters and images to be easily viewed by the naked eye and receipt scanning API. You only need to leave receipts in full view of the sun for a short period and you’ll notice distinct image and character discolouration. Not only that, the humidity can drastically affect the clarity of receipt content. Now, let’s image that the receipt has been in your pocket for days or even weeks. The chances of the characters will still be clear is virtually zero! Fortunately, there are a few ways that you can restore the content of your receipts in a quick and easy way. Want to know how? Keep reading. One of the best ways to restore faded receipts is to scan and store them. A mobile receipt scanning app like Tab Scanner is the easiest and best way to do this. Using the world’s most powerful receipt scanning API, Tab Scanner can record and extract receipt contents, saving data online and making sure that you can manage your expenses and expenditure efficiently. The intuitive app performs a meticulous OCR check for optimal data extraction, the app can be seamlessly integrated into all platforms without compromising on your existing software performance. Tab Scanner is the best way to restore your receipts and track your expenses. Apart from the obvious benefit of using receipt scanning API, there are other means of recovering receipt characters and information. One of the more trusted ways is to apply heat to the thermal paper. All you need to do is to point a hairdryer to the reverse side of the receipt and hit the button. Keep heating the receipt up until the characters begin to become visible. Always use a low-medium heat on your hairdryer – if not, an accident may occur. Alternatively, you can apply the heat of a light bulb to the reverse side of the receipt until the characters become visible enough to be seen with the naked eye. Don’t apply heat directly to the front of the receipt as this will cause the ink to bleed into the paper and make any information even less legible. If applying heat to a receipt seems archaic and not without it’s pitfalls, you can always revert to technology to restore your receipts enough to perform an OCR check. Place any receipts on a scanner and scan the image into your computer. You can then import the image into programs such as paint or Photoshop and manipulate the image by adjusting the brightness and contrast of the receipt image. A copier can also be helpful. The darkest setting on any copier can show faded characters and text which contrast against the background. Not as reliable as receipt scanning API, copiers can restore some elements of the receipt, allowing you to get a clearer idea of the information they hold. That’s it, some of the ways that you can restore the contents of faded receipts. Before chucking your faded receipts in the trashcan, why not try one of these ideas. You’ll be pleasantly surprised by the results.